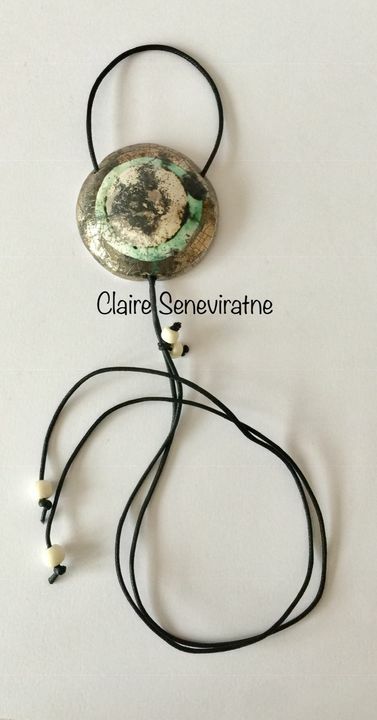 Claire Seneviratne - Ceramic Artist: Large silver smoke fired pendant. Large silver smoke fired pendant. Silver smoke fired pendant.This pendant is made from porcelain and has been fired with glaze in my kiln. It has then been refired with a silver lustre.